In a different bowl beat the butter with sugar till fluffy, then add eggs, beat for 1minute. Now add vanilla and milk. beat for another 1 minute. 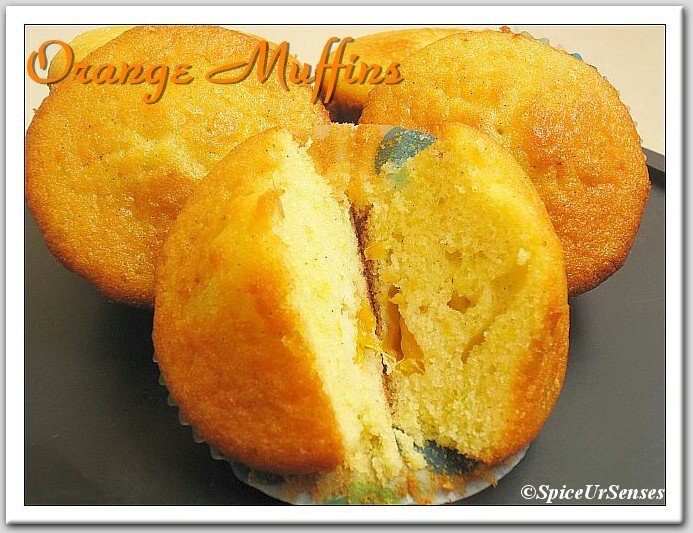 Then fold in the flour mixture and orange pulp mix it nicely. 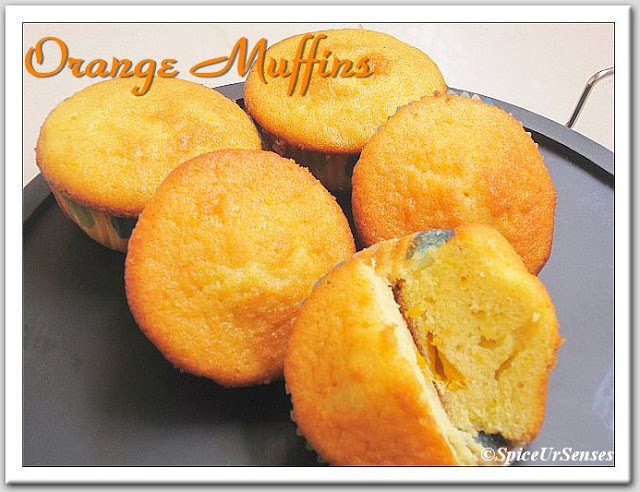 Then pour the mixture into a grease muffin tins and bake at 350 degrees, until a wooden pick inserted in center comes out clean, about 30 minutes for XL muffins, about 20 minutes for medium size muffins. 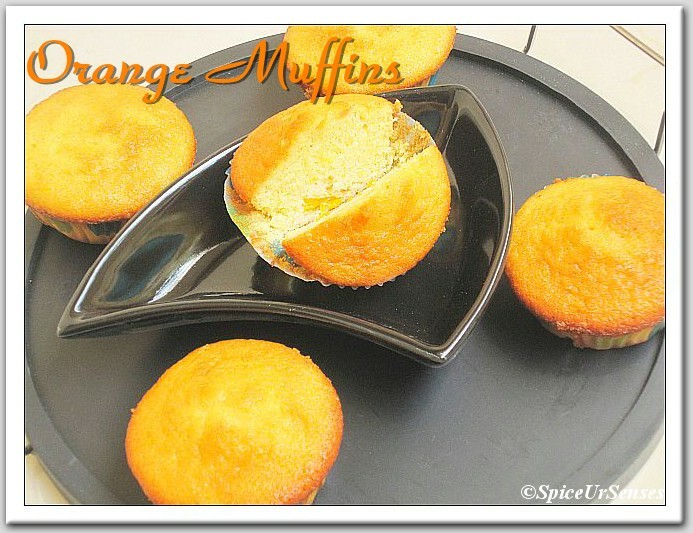 The Orange Muffins may be served hot or at room temperature. 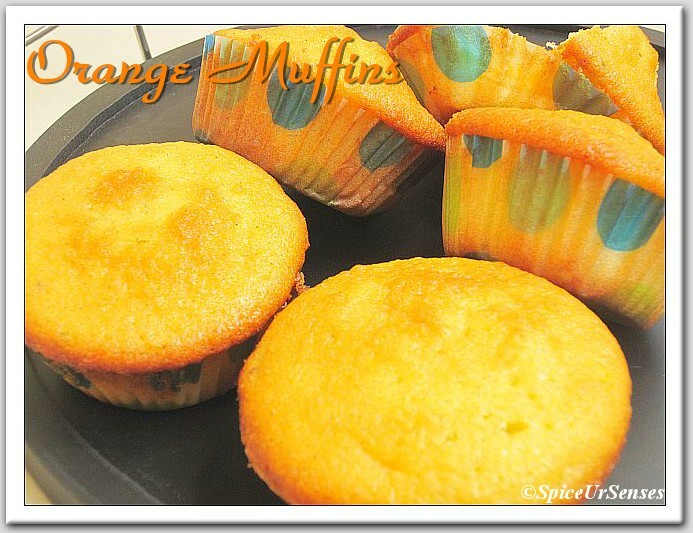 Super spongy and fabulous Muffins. Loved the info u gave, too.